Want a new visit from M. Night Shyamalan? After 2010’s The Lady in the Water that felt like a vanity project of a film and the road crash that was The Last Airbender, we thought that we saw the last of him as a director. 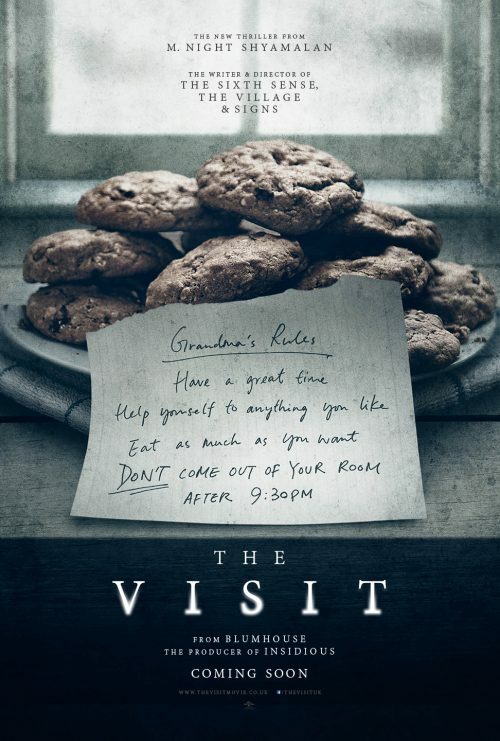 We were all wrong with The Visit. This time he’s back with a film that he’s not only directed but written and produced it as well. We can’t say anything about the film as the trailer hasn’t been released but I’m sure we can all figure out what will happen if you have seen any of his previous horror films. Shyamalan returns to his roots with the terrifying story of a brother and sister who are sent to their grandparents’ remote Pennsylvania farm for a weeklong trip. Once the children discover that the elderly couple is involved in something deeply disturbing, they see their chances of getting back home are growing smaller every day.